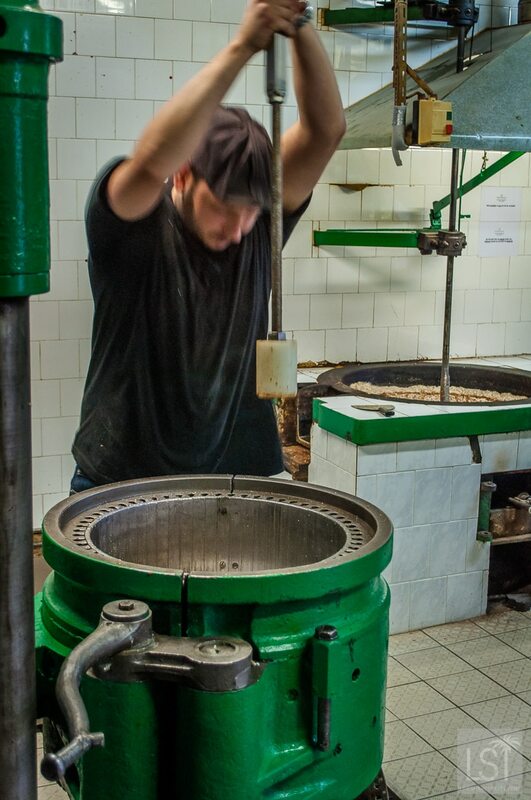 In the sleepy town of Beaujeu in the Beaujolais region of France lies a rather unassuming factory. 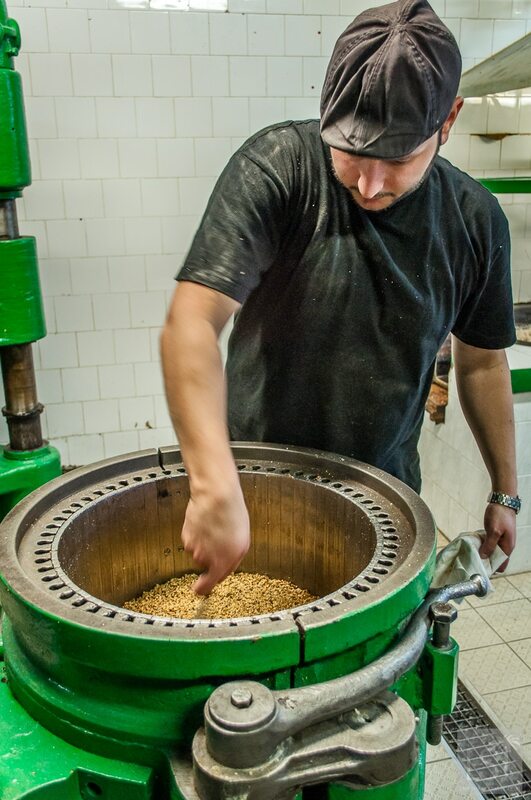 But this is no ordinary provincial factory – this is one of France’s finest huilieries. 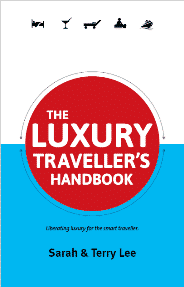 OK, so a huilerie is not a common word – perhaps not common in French, least of all English. But let’s just say that without this little factory, France’s famous reputation for good food would not be quite so solid. Of course, Beaujolais is most famous for its wine, and in particular Beaujolais Nouveau – the wine which has its own day in of celebration in the diary. 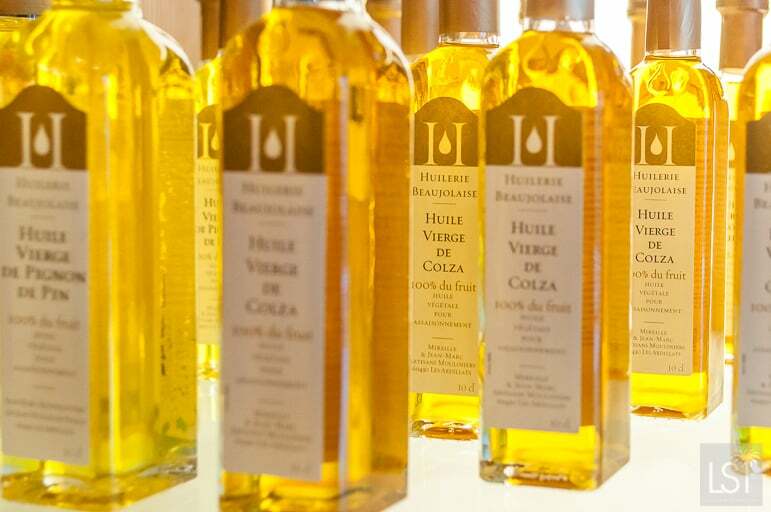 But for the past 35 years, the Montegottero family has been producing virgin oils, from fruits and nuts, at Huilierie Beaujolaise oil mill, bottling and selling them at their specialist shop on Rue des Echarmeaux in the town – formerly known as the provincial capital of the Beaujolais region. 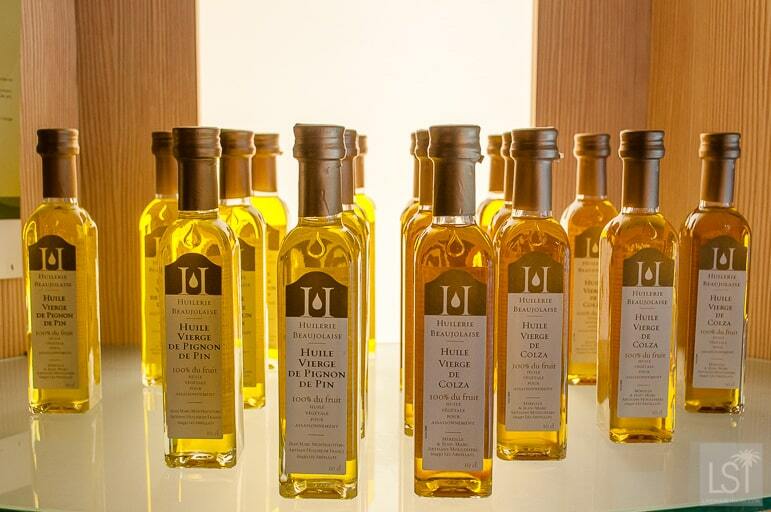 And not only are they popular locally, but the oils are sold to the finest restaurants right across the country. 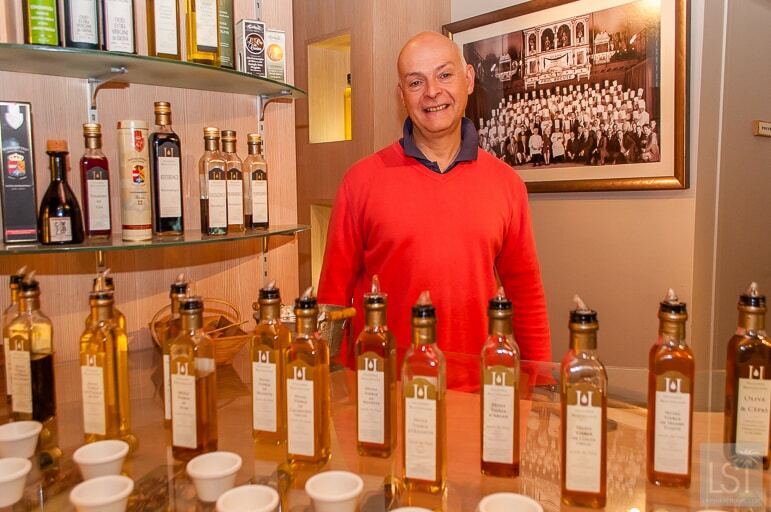 Managed today by Jean-Marc Montegottero, Huilierie Beaujolaise is renowned for its perfectly produced nut and fruit oils. 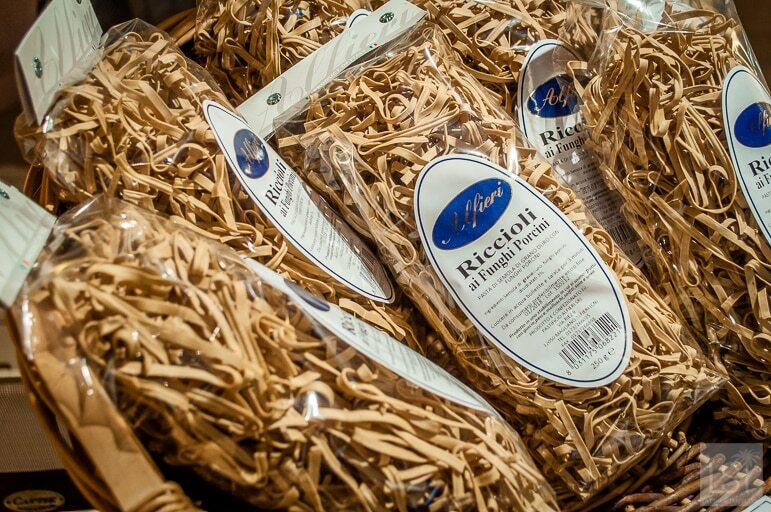 These oils are made in a very traditional way, with production methods handed down through the generations. 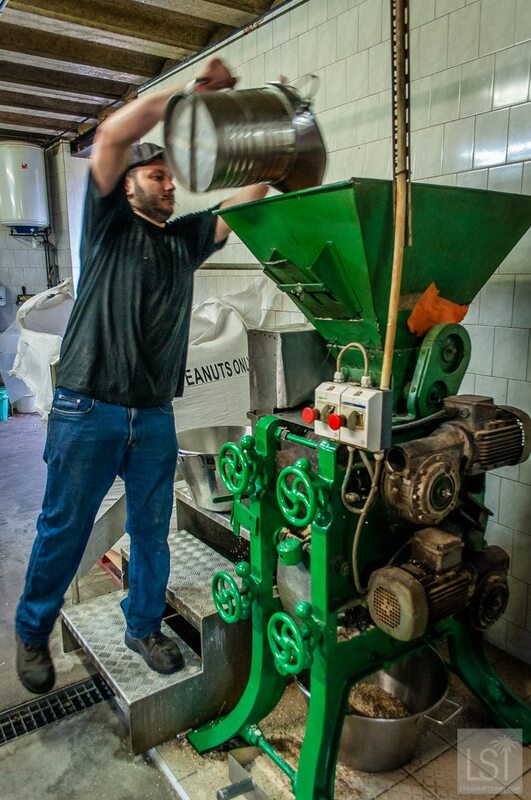 Taking a tour of the small factory, we watched as they assiduously prepared oils using only one fruit, or one nut at a time to ensure the oil’s purity. 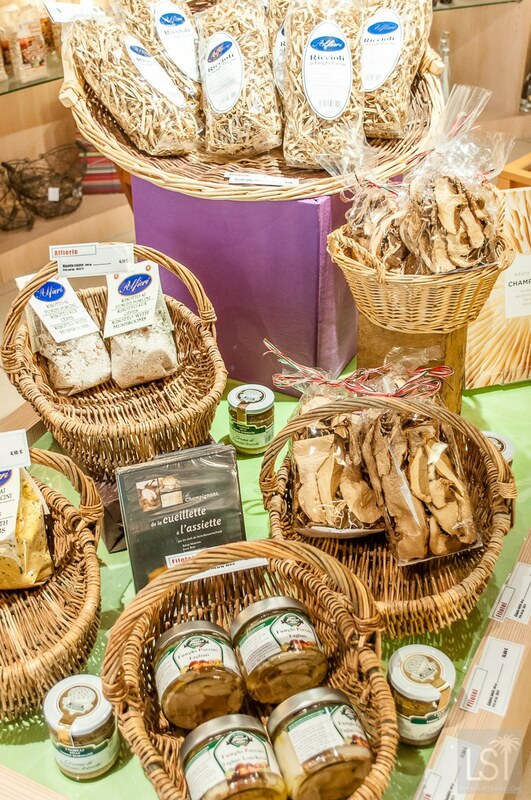 Jean-Marc stressed that nothing is mixed with the natural product and certainly no chemicals of any sort. His mantra – one fruit, one oil. 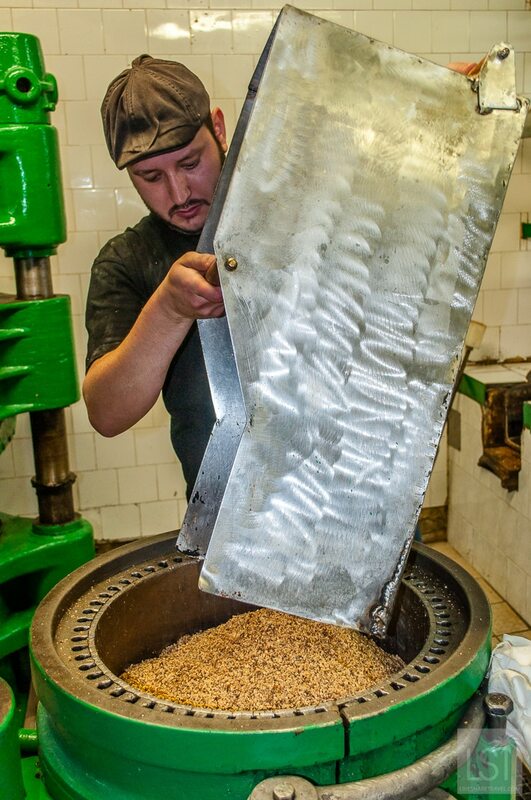 Jean-Marc explained that after his parents bought the premises they found hidden away in a back room, a 19th-century oil mill that had not been used for seven years. He decided to renovate the equipment and bring the workshop back into good working order. The rest, as they say, is history. 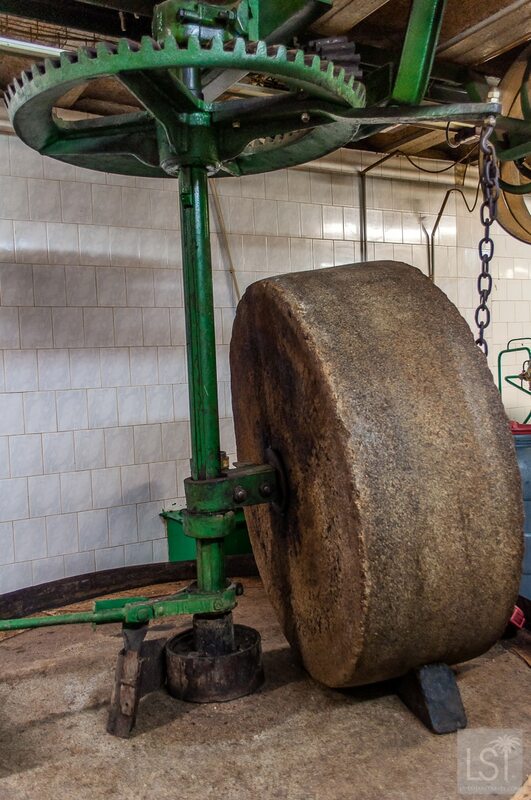 On a tour, we stood in the old production area, amid the ancient equipment and it was like travelling back through the centuries to witness a time-honoured process. 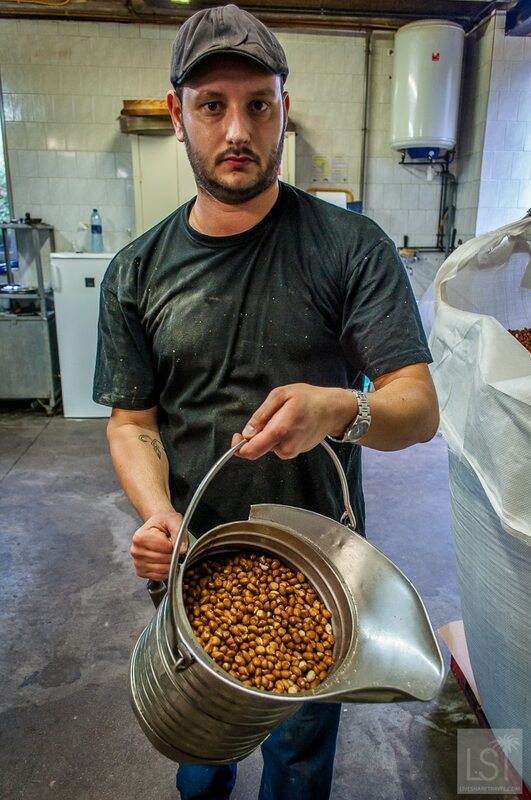 Fabian was producing the oil that day, and his skill and dedication as he pressed the virgin oil from the peanuts was fascinating. 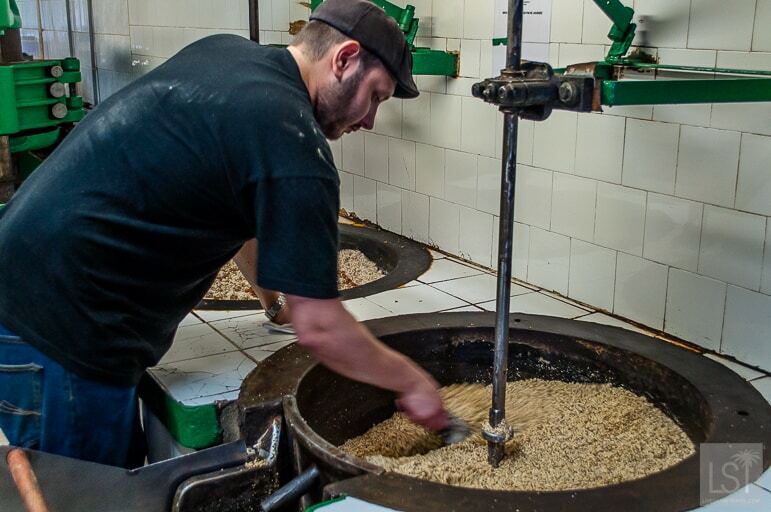 As Fabian went to work he took a huge quantity of peanuts and began crushing, cooking and pressing them. 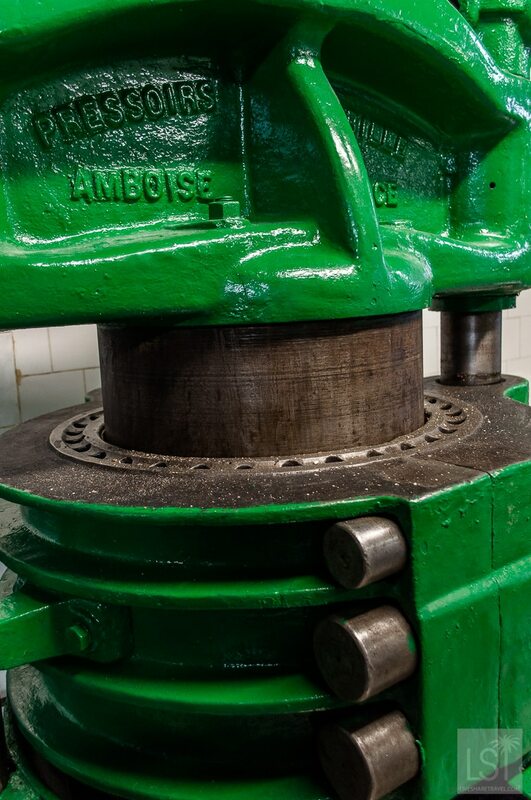 We were assured that this production process did not occur anywhere else in the Beaujolais region or beyond because the equipment they used was so old no other oil mills used it. In fact, they lavish love and affection on the equipment, as parts cannot be replaced. Today as a testament to their success the oil products made in Beaujeu are in great demand. 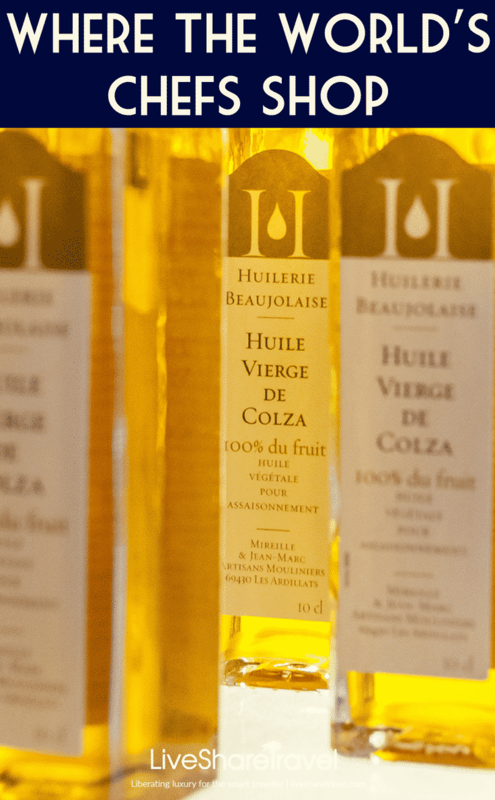 Huilerie Beaujolaise’s oils are sold around the globe in countries as diverse as Canada, the USA, New Zealand, Japan, the UK and Korea. Furthermore, many of the world’s leading chefs and restaurants buy their quality oils and vinaigrettes from them, so you’ve likely already sampled the flavour of this corner of Beaujolais without knowing it. And with virgin oils made from peanuts to olives, pine nuts, hazelnut and pistachio; plus vinaigrettes made from mango to calamansi limes and everything in between, they’ve likely appeared in many of your favourite restaurant dishes.